This season I’ve found a new obsession though; I am absolutely loving quirky necklaces. Of all the small business ventures Shopdixi are my absolute fave. Everything is crafted so beautifully and has so much character. Just when I thought I couldn’t love Shopdixi more I realised that that sell some amazing necklaces and I guess my bank balance is going to hate me this month because I need them ALL. Shopdixi make it so easy for me to channel my inner boho babe and if I had the money I would buy every single ring in their collection. After hours of browsing, picking and choosing I’ve narrowed down my wishlist to just 5 necklaces. Let me tell you that was a task and a half! They’re all so beautiful in their own right and if I had to pick just one I probably couldn’t. Bae – You know those words that you use satirically but then it becomes part of your vocab? Well for me that was the word ‘Bae’. I love love love this necklace and think it would make such a cute gift for your loved one. Inhale Exhale – This year you may have noticed I’m all about the positive vibes and this little gem is a perfect reminder to take a step back, breath in and out and relax. Warrior Heart Drop – I love unusual peices and this necklace is just that. Also, I couldn’t have a shopdixi wishlist without featuring a moonstone-d peice! The warrior heart drop adds a little suttin suttin’ to any outfit, turning your day dress effortlessly into evening wear. Beautiful Chaos – I’ve been wanting a bar for my necklace collection for a while now but this one has stolen my heart. The words “Beautiful Chaos” sum me (and my life) up perfectly and what better way to wear something I love than next to my heart. Storm Maker Garnet Choker – The whole gothic romance trend speaks to me on so many levels and I love how this little garnet piece is a subtle way for me to add some character into my every day. Shopdixi are extremely affordable as it is but since I love my readers so much, today I bring to you a special discount code. It can be used across the site and will give you 10% off everything, all you need to do is enter DAMZELXDIXI at checkout. 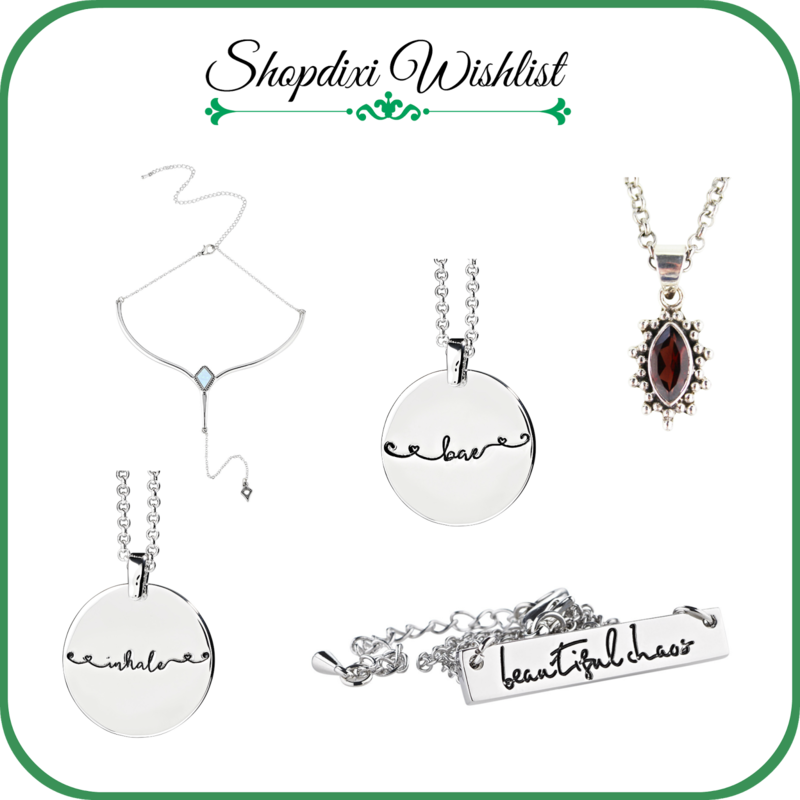 Shop all of Shopdixi’s necklaces here.